‹ Could Jesus Really Return at Any Moment? Am about to reblog it. A book I have been meaning to read for too long. Now I have no excuse. Same here, Jules. This morning was my day. It is not the easiest read, but there are some great points. So I have started and stopped and started and stopped because this is not a book to read quickly. I bought a hard copy and if I underlined all that speaks to me the whole thing would be illegible. It is … beautiful and terrifying and wonderful and I think the desire to practice that presence is something I want to consume me. There’s a battle started between ‘YES Lord’ and ‘ok Lord but tomorrow’. One of the books that has most profoundly influenced my life. 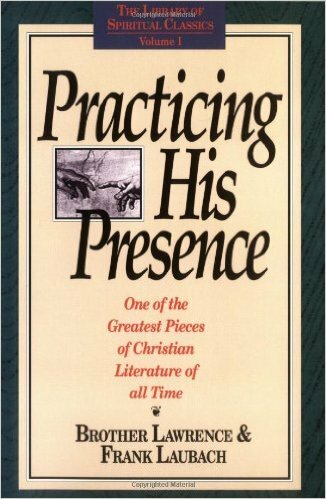 Definitely one of the best books I’ve ever read Patrick on enjoying God’s presence every day of our lives no matter the circumstance or task. You bet Slimjim…I had been wanting to read it and went hunting for it online.